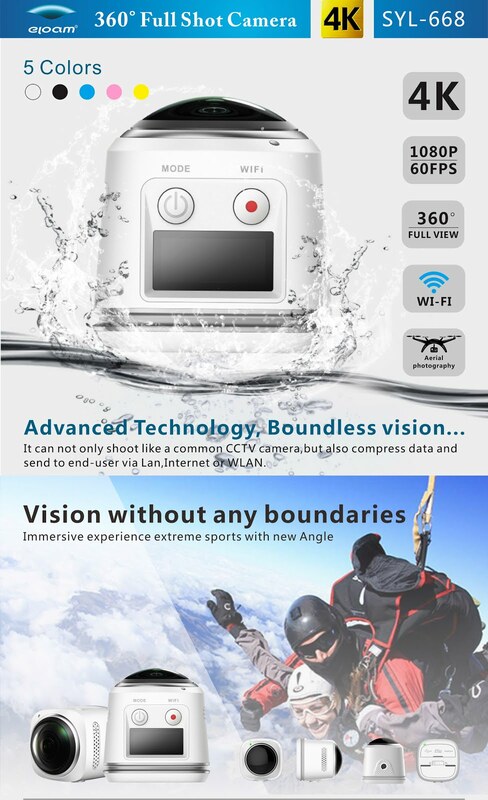 The Eloam SYL668 is a hemispherical 360 camera that features 4k video at 15fps and 1080 video at 60fps. – Photo resolution is unknown at this time. It is available in several colors: white, black, pink, blue, and yellow. 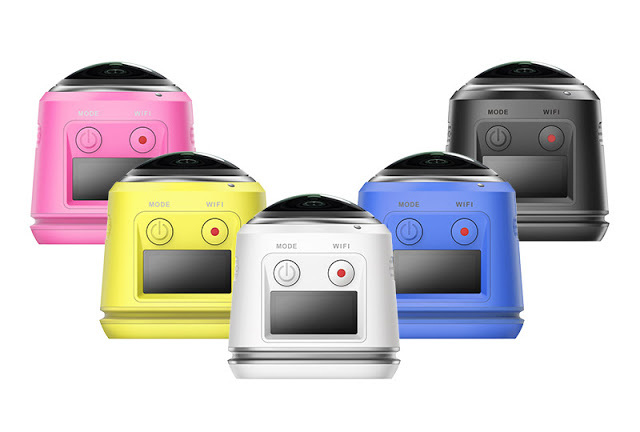 For other low-cost 360 cameras, click here or on the label/tag below the sharing buttons.